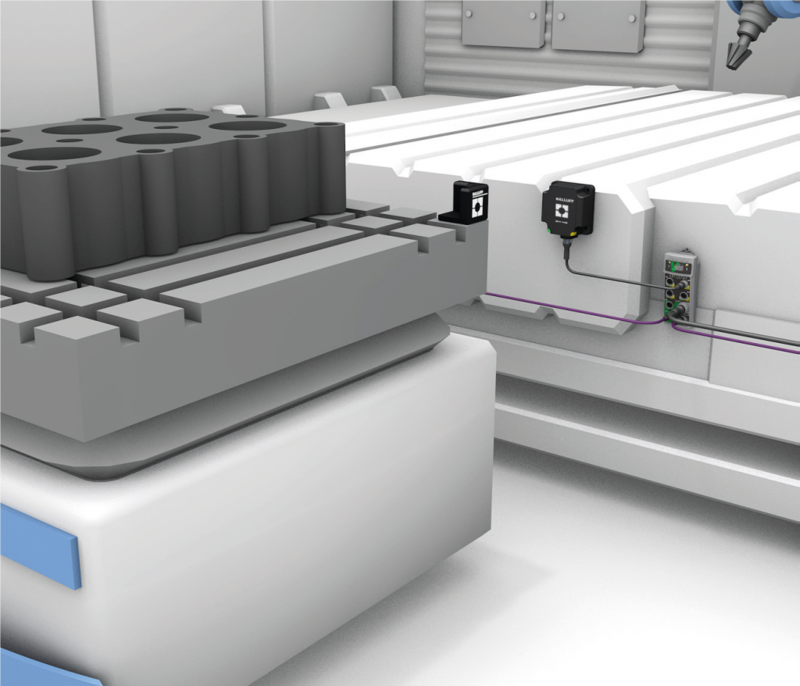 It’s not just IIoT that has focused attention on RFID as a central component of automation. As a key technology, radio frequency identification has been long established in production. The inductive operating principle guarantees ruggedness and resistance to environmental stress factors. This makes the system highly reliable in function and operation. With unlimited read/write cycles and real-time communication, RFID has become indispensable. The beginnings for the industrial use of RFID go far back. 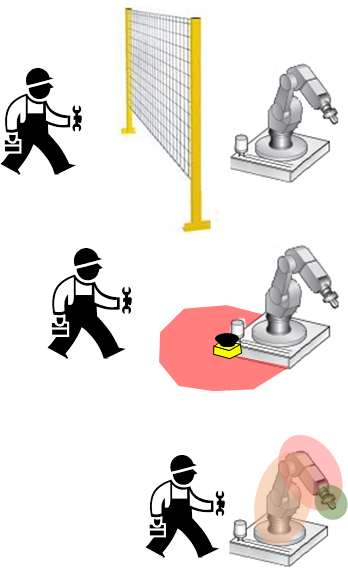 RFID was first successfully used on machine tools in the mid-1980’s. Since the usage of RFID tags on cutting tool holders has been internationally standardized (ISO 7388 for SK shanks, ISO12164 for HSK shanks), there has been strong growth of RFID usage in cutting tool management. Modern manufacturing with a wide bandwidth of batch sizes and ever compressed production times demands maximum transparency. This is the only way to meet the high requirements for flexibility and quality, and to minimize costs. Not only do the tools need to be optimally managed, but also the finished parts and materials used must be unambiguously recognized and assigned. In terms of data transmission for cutting tool identification, established systems have settled on LF (Low Frequency), as this band has proven to be especially robust and reliable in metal surroundings. Data is read with LF at a frequency of 455 kHz and written at 70 kHz. When it comes to intralogistics and tracking of workpieces, HF (High Frequency) has become the standard in recent years. This is because HF systems with a working frequency of 13.56 MHz offer greater traverse speeds and a more generous read/write distance. As a result, RFID processor units have been introduced that offer frequency-independent application. By using two different read-/write heads (one for tool identification and one for track-and-trace of workpieces) that each interface to a single processor unit, the communication to the control system is achieved in an economical manner. Industrial equipment is designed for a working life of 20 years or even more. Therefore, in production you often find machines which were designed in the last century next to new machines that were installed when the production capacity was enlarged. In such a brown field factory you have the coexistence of proven technology and modern innovative equipment. For the topic of industrial RFID, it means that both low frequency and high frequency RFID tags are used. To use both the existing infrastructure and to introduce modern and innovative equipment, RFID read/write heads have been recently developed with LF and HF technology in one housing. It does not matter whether a LF RFID tag or a HF RFID tag approaches the RFID head. The system will automatically detect whether the tag uses LF or HF technology and will start to communicate in the right frequency. 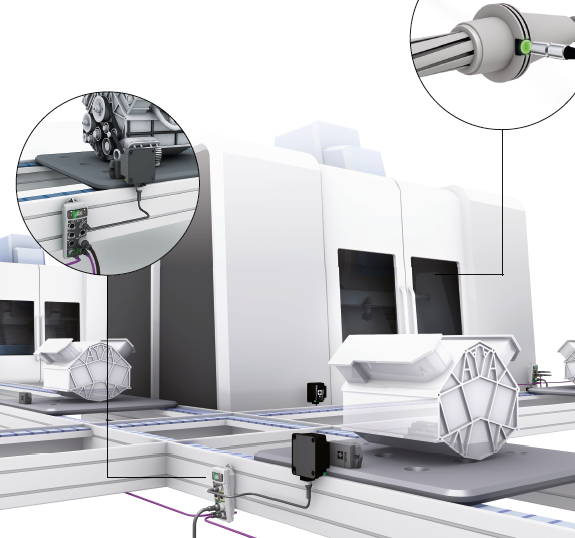 This hybrid read-write head adds flexibility to the machine tools and tool setters as you can use the entire inventory of your cutting tools and tool holders. The classical concept of data storage in Tool ID is a decentralized data storage, which means that all relevant data (tool dimensions, tool usage time, machining data, etc.) of a tool/tool holder is stored on the RFID tag which is mounted on the single tool holder. The reliability and availability of this concept data has been proven for more than 25 years now. With the Internet of Things IIOT, the concept of cloud computing is trendy. 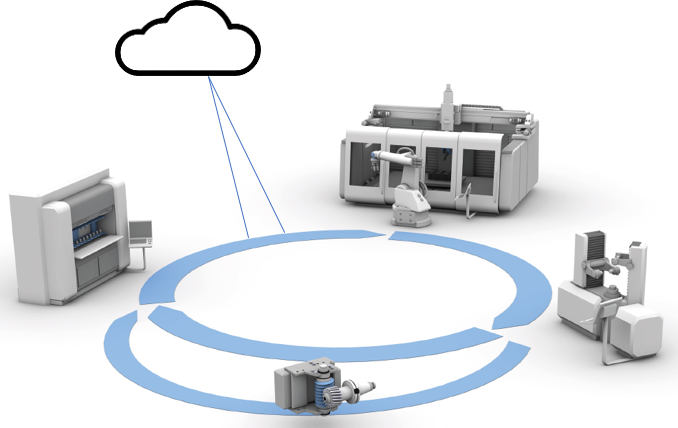 All — tool setter, machine tool and tool stock systems — are connected to the cloud and exchange data. In this case only an identifier is needed to move and receive the data to and from the cloud. For this type of data management Tool ID tags with the standard (DIN 69873) size diameter 10 x 4,5 mm are available now in a cost effective version with a 32 Byte memory. Manufacturing is made up of hundreds of discrete operations. Some are repetitive, while others are more diverse. Repetitive tasks are ideal for automation while diverse tasks require more flexibility. And while automation can be extremely flexible, that comes with a high initial investment costs and significant deployment time. The alternative? People! Humans have the unrivaled ability to adapt to a diverse and flexible manufacturing environment. They can be productive relatively quickly with proper guidance without high initial cost investments. But as we all know, “to err is human” and this is one of the biggest issues with manual operations. People need a little guidance from time to time. Collaboration is not just for robots; It’s for complete automation systems as well. All of these functions can be done error-free and with little training by simply guiding people within their current work envelope, also referred to as their point-of-use. 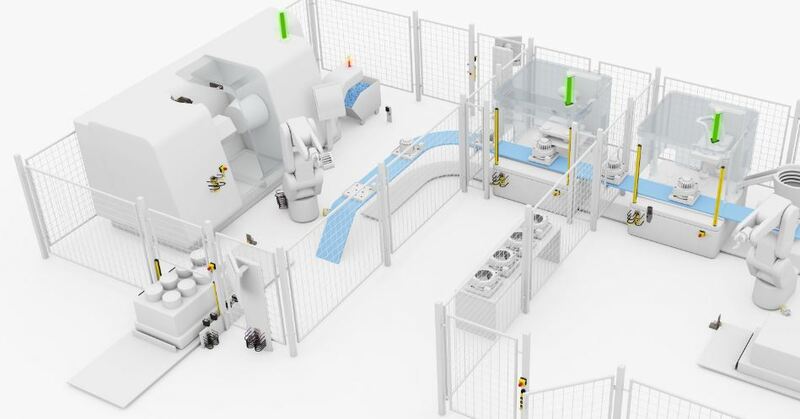 This type of a lean function provides hands-free guidance in the form of indication devices connected directly to your automation system allowing workers to stay focused on the task at hand instead of looking elsewhere for instructions. 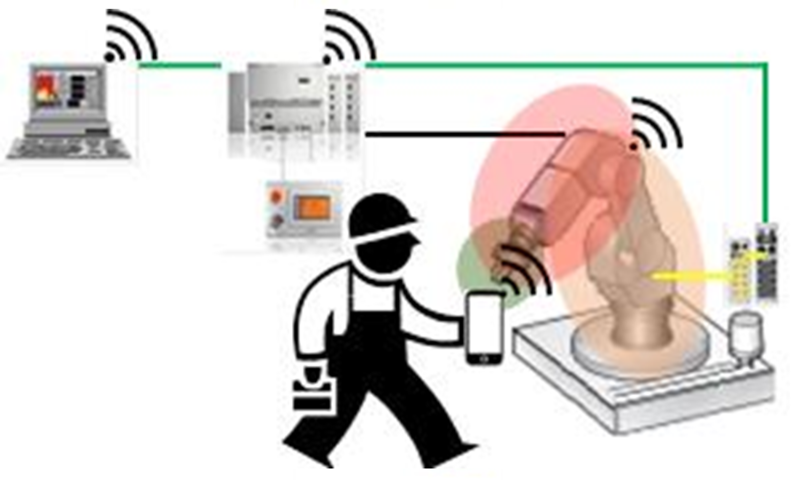 With the technology of IO-Link, smart indication devices can now show much more information to all the people involved in specific manufacturing tasks. Automation has an immediate and direct connection to the people that are so vital. For example, in a manually-fed weld-cell, the smart indicators are capable of not only signaling that the part is loaded correctly, but also whether the part is out of alignment (shown here by the red indicator) or that something wrong with one of the automation components such as a stuck pneumatic clamp. A manually-fed weld-cell with smart indicators is capable of not only signaling that the part is loaded correctly, but also if the part is out of alignment (shown by the red indicator) or that there is something wrong with one of the automation components such as a stuck pneumatic clamp. Even better, with IIoT technology, trends can be analyzed to determine if the fixture/tool could be optimized for production or to identify common failure points. This all leads to tighter collaboration with operations, maintenance personnel and production supervisors. 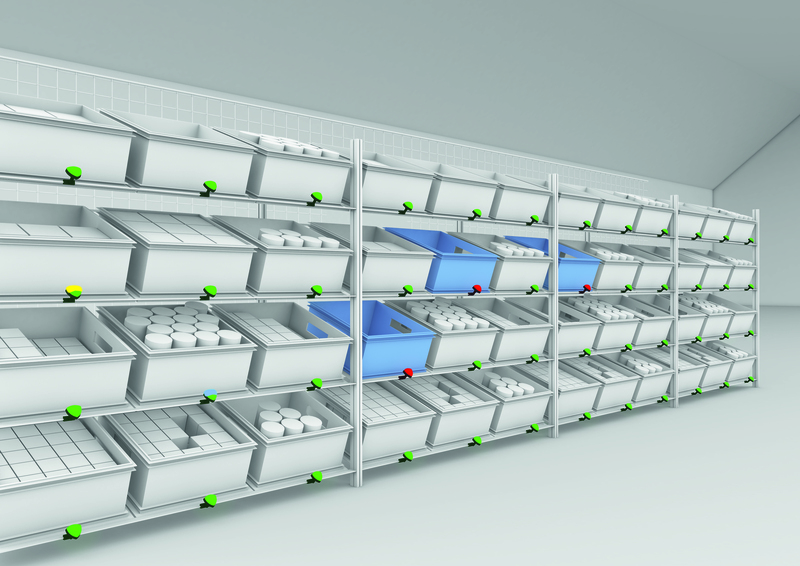 A traditional kitting station, sometimes referred to as a supermarket, is another ideal application for smart indicators. Not only can they guide a single operator to the intended part to pull, they can guide multiple operators at the same time. Also, smart indicators can inform of incorrect pulls, potential bin options (a physically closure bin), directional information, and inventory levels. And again, with IIoT technology, trends can be analyzed to determine proper layout, individual personnel performance and system throughput. The automation system collaborates with operations, forklift drivers and production supervisors. A traditional kitting station, sometimes referred to as a supermarket, with smart indicators to guide operators to the intended part to pull. 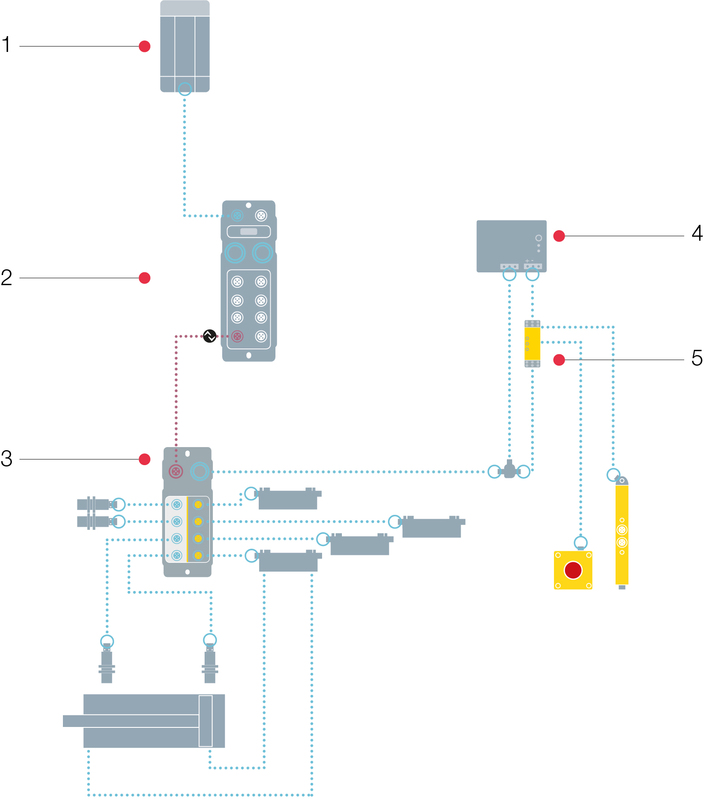 So, take a look and see what a collaborative automation system utilizing smart indicators can do for your manual operations. You might be surprised. 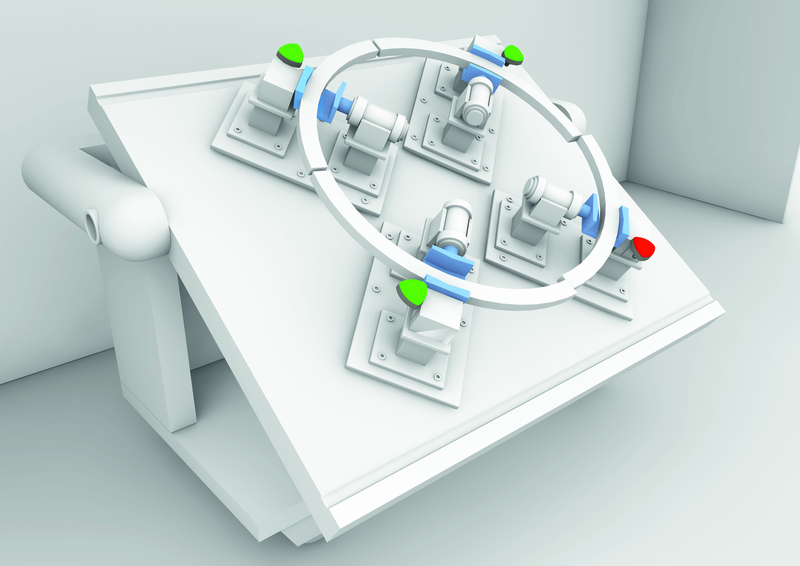 An external safety device is required to safely interrupt the supply voltage of the actuator segment (four ports simultaneously). Thus, the module can implement safety functions up to SIL2 according to EN62061/PLd and ISO 13849. For example, this can happen through the use of a safety relay, whereby the power supply is safely disconnected after actuation of peripheral safety devices (such as emergency stops and door switches). At the same time, the sensor segment remains active and can provide important information from the field devices.